Eliason pre-drilled frames offer the convenience of one supplier and quicker installation times. Since the holes are pre-drilled for your exact door, the hassle of drilling holes on-site is minimized, saving you time and money during installation. 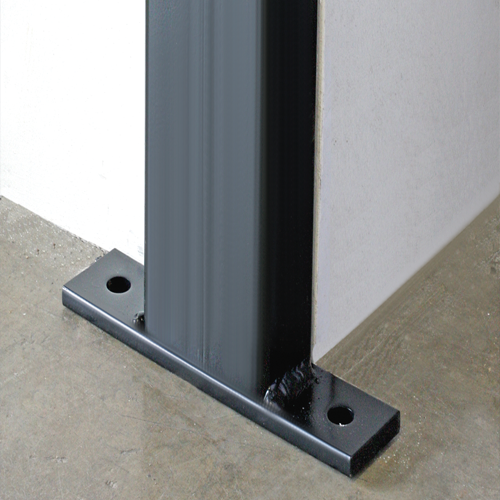 The Eliason Structural Tube frame has pre-drilled holes for top hardware, for fastening frame to the door, for bottom hardware and for floor anchors. Structural steel tubing is available in three sizes: 2 x 4, 2 x 6 and 2 x 8. Frame Design: Rough opening width = finished opening width + 4.25", rough opening height = finished opening height + 2.1875"
* In our continuing effort to improve our products, some specifications or descriptions may change. We reserve the right to make such changes without notice or recourse. Color shown may differ slightly from actual color. Consult factory for exact color match.